^ Breznican, Anthony (2011-10-07). “'The Avengers': Your First Look at the Dream Team!”. Entertainment Weekly (Time Inc.) (1175): 37; online p. 2. オリジナルのMay 2, 2012時点によるアーカイブ。. http://www.ew.com/ew/article/0,,20532978,00.html. "At risk is not only the movie's estimated $220 million budget, but also one of the most promising tent pole franchises in Hollywood." ^ Adamek, Pauline (January 2012). “Avengers Assemble!”. Filmink (FKP International Exports): 70–75. ^ Lovece, Frank. 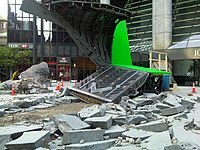 "Marvel's 'Avengers' being shot at Grumman Studios"Newsday, October 20, 2010, p. A13 of print edition. WebCitation archive. ^ Paltrow interviewed on Something For the Weekend, BBC2, 2011-05-08, 2011, via Gallagher, Simon, "Gwyneth Paltrow Will 'Probably' Appear in Iron Man 3, and 'Possibly' in The Avengers", ObsessedWithFilm.com, 2011-05-08. Retrieved 2011-05-08. WebCitation archive. ^ Scott, A. O. (2012年5月3日). “Superheroes, Super Battles, Super Egos”. New York Times. オリジナルの2012年5月3日時点によるアーカイブ。. http://www.webcitation.org/67Nx8Foos 2012年5月3日閲覧. ""I'm always angry," he says at one point, and while "The Avengers" is hardly worth raging about, its failures are significant and dispiriting. The light, amusing bits cannot overcome the grinding, hectic emptiness, the bloated cynicism that is less a shortcoming of this particular film than a feature of the genre." ^ Longworth, Karina (2012年5月2日). “Superheroes Bump Superegos in Joss Whedon's All-Star Avengers”. Village Voice. オリジナルの2012年5月2日時点によるアーカイブ。. http://www.webcitation.org/67MOXMMcO 2012年4月30日閲覧. "On The Avengers ' comparatively minute canvas of two and a half hours, Whedon effectively creates a sketch of a working universe and tells us that his characters are emotionally damaged but doesn't explore that damage in any substantive way." ^ Corliss, Richard (2012-05-06). “Beyond Marvel-ous: The Avengers Smashes Records with $200.3 Million”. Time. オリジナルの2012-05-07時点によるアーカイブ。. 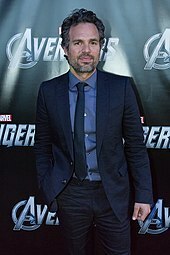 http://entertainment.time.com/2012/05/06/beyond-marvel-ous-the-avengers-smashes-records-with-200-3-million/. "The Avengers, with a $220 million production cost, already is in the black, with no ceiling in sight." Power Pack - ジェネレーションX - Nick Fury: Agent of S.H.I.E.L.D. 4・5日 仮面ライダーフォーゼ THE MOVIE みんなで宇宙キターッ!/特命戦隊ゴーバスターズ THE MOVIE 東京エネタワーを守れ!